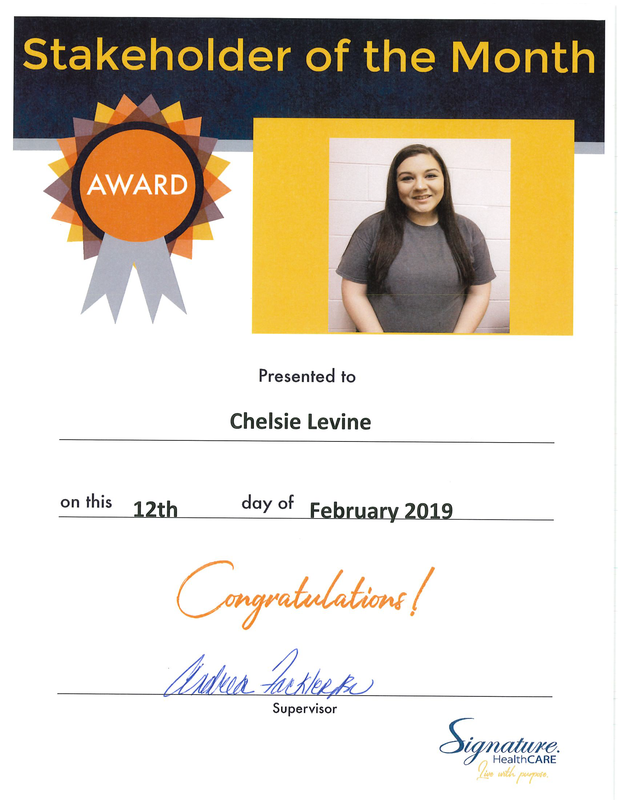 We would like to congratulate Chelsie Levine for being our Stakeholder of the Month! 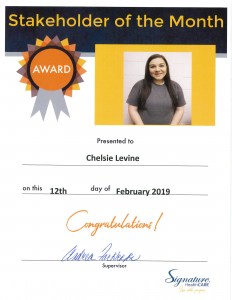 Thank you, Chelsie, for all that you do! Keep up the good work!